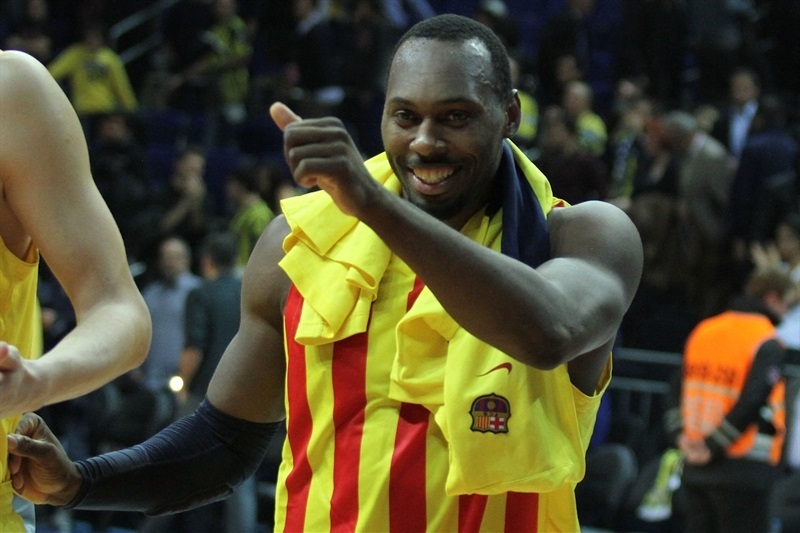 In a thriller that went down to the wire, FC Barcelona edged Fenerbahce Ulker Istanbul 73-76 on the road on Thursday. 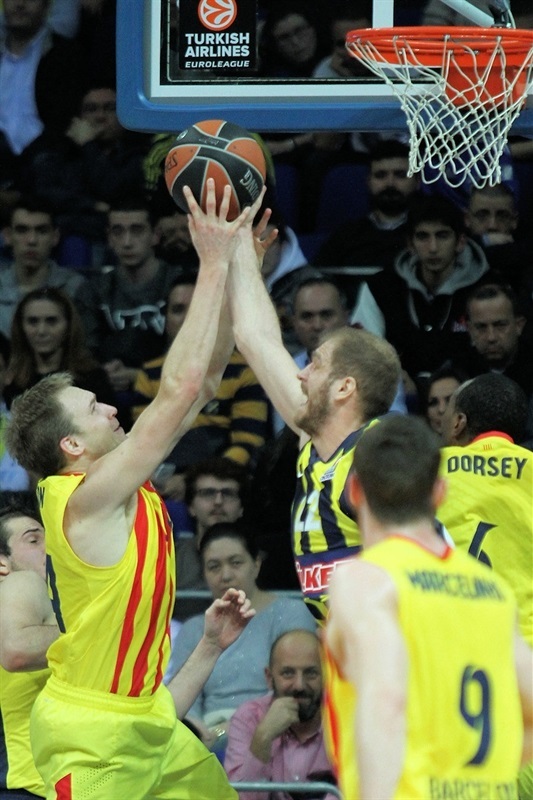 Barcelona remained undefeated in Top 16 Group E, while Fenerbahce dropped to 0-2. Marcelinho Huertas paced the winners with 23 points - 14 of which came in the decisive fourth quarter – in addition to 7 assists and 4 steals. 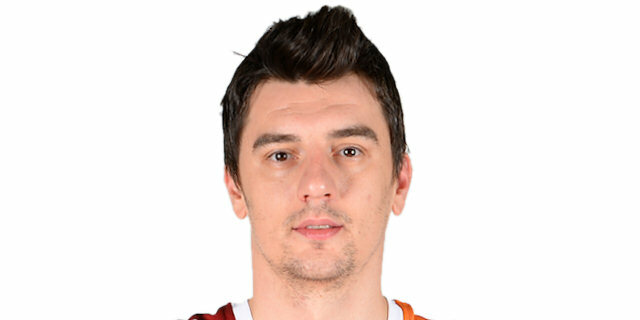 Brad Oleson added 14 points, Kostas Papanikolaou scored 11 while Erazem Lorbek got 10 for Barcelona, which was without superstar Juan Carlos Navarro. 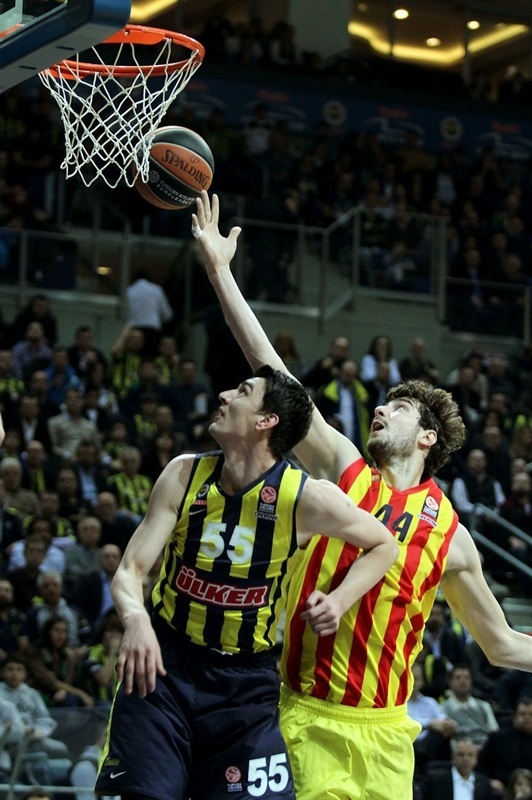 Melih Mahmutoglu and Nemanja Bjelica led Fenerbahce with 15 points apiece. 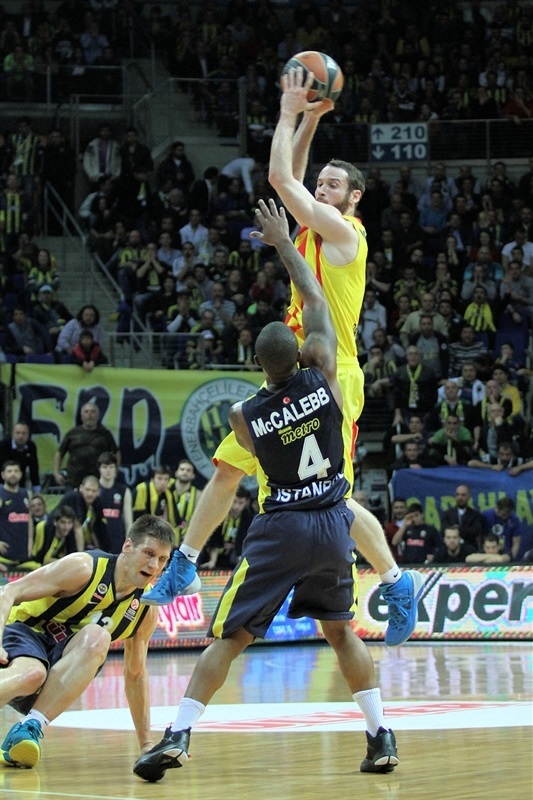 Emir Preldzic and Bo McCalebb each added 13 and Bojan Bogdanovic scored 12 for the hosts. Fenerbahce overcame a slow start to get its first lead, 11-9, midway through the first quarter. Oleson and Bostjan Nachbar stepped up to give Barcelona a 18-26 edge early in the second quarter. 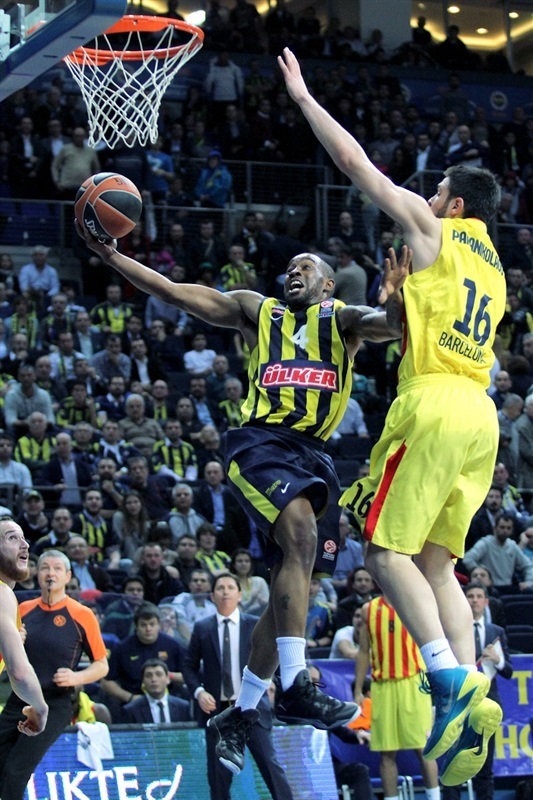 Fenerbahce improved its defense and a dunk off a steal by McCalebb gave the hosts a 38-37 edge. Dorsey dunked to tie the game, 39-39, at halftime. 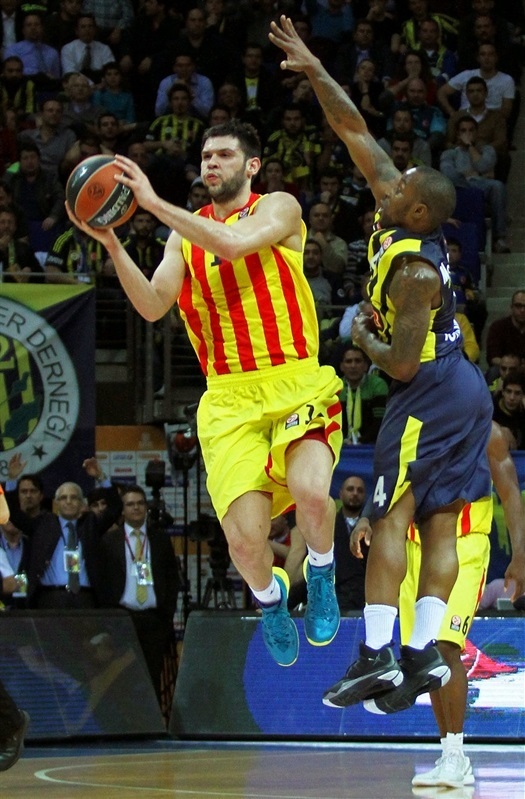 Barcelona improved after the break and a slam by Papanikolaou made it a 6-point game. Bjelica rescued Fenerbahce with consecutive three-pointer, but Ante Tomic and Oleson allowed Barcelona to keep a 56-58 edge through three quarters. An outstanding Huertas took over after that, including free throws for a 73-76 Barcelona edge with 10 seconds left. 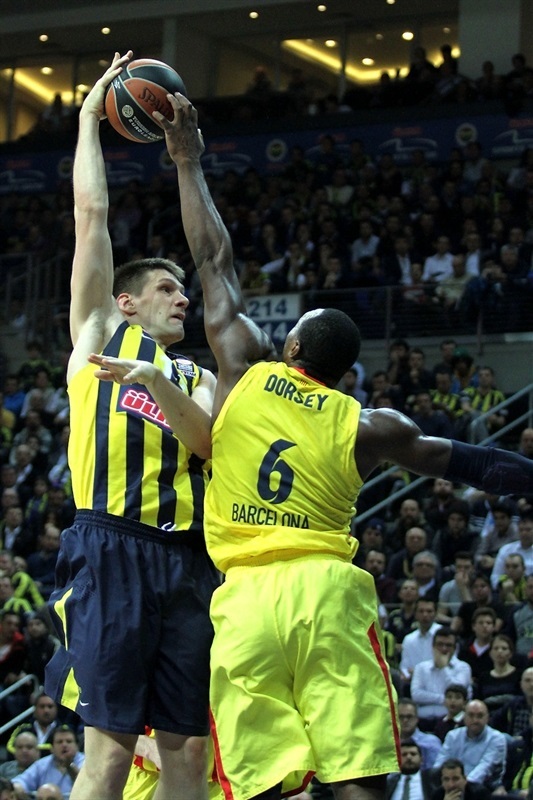 Fenerbahce had a chance to tie the game, but Bogdanovic missed from downtown at the buzzer. 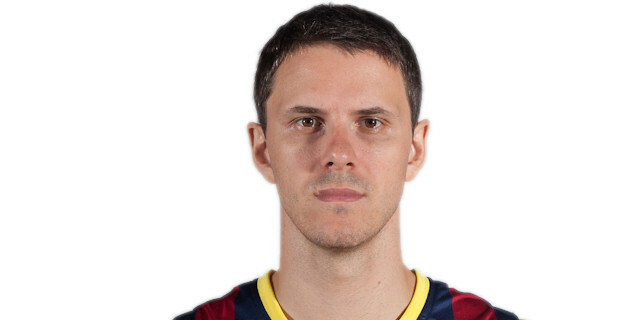 Lorbek got Barcelona going with a free throw and a fast break layup by Kostas Papanikolaou gave the guests a 0-3 lead. Fenerbahce kept struggling to score, as Barcelona was all over the passing lines. 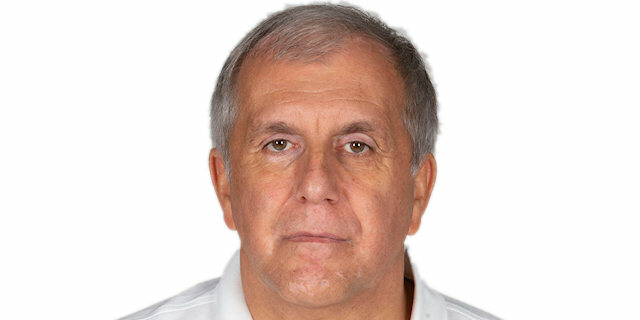 A floating jumper by Huertas caused Coach Zeljko Obradovic to call timeout at 0-5. Bogdanovic stepped up with a driving layup that Huertas matched with a one-handed floater. Preldzic scored in penetration and a corner triple by Bjelica tied it at 7-7. Lorbek scored in the low post, but back-to-back layups by McCalebb gave Fenerbahce its first lead, 11-9. Bogdanovic took over with a dunk in traffic. Oleson stepped up with a bomb from downtown. After Preldzic scored in transition, Lorbek hit a close shot and a jumper by Oleson restored a 15-16 Barcelona edge. Papanikolaou and Preldzic traded baskets before McCalebb tied it at 18-18. Victor Sada shined with a floating layup and a three-pointer by Nachbar gave the guests an 18-23 lead after 10 minutes. Oleson struck from downtown to make it an 8-point game early in the second quarter. Linas Kleiza made free throws and a jumper by Melih Mahmutoglu kept Fenerbahce within 22-26. Nachbar fired in a five-meter jumper that a red-hot Mahmutoglu improved on with a triple. Zoric ignited the crowd with a two-handed dunk. Tomic answered with a backdoor layup, good for a 27-30 Barcelona edge. Mahmutoglu nailed a mid-range jumper. Papanikolaou sank a bomb from downtown. McCalebb made free throws before a layup-plus-foul by Huertas boosted the guests' margin to 31-36. 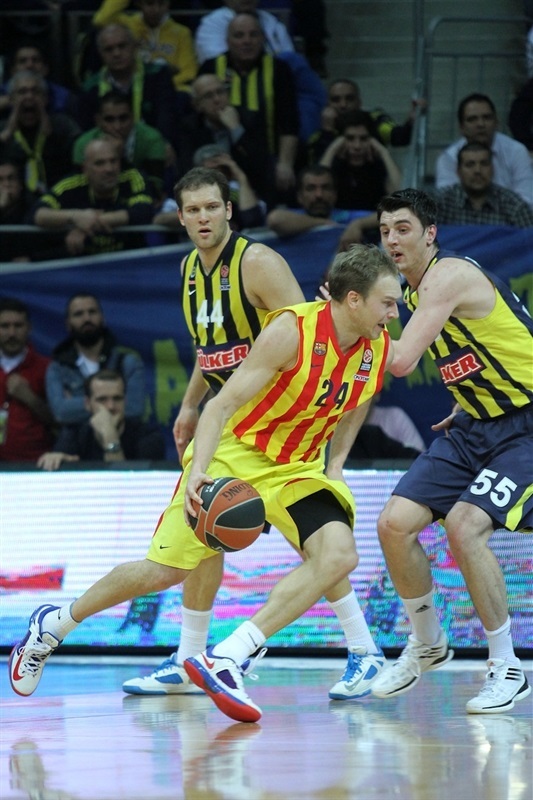 Fenerbahce could not get Bogdanovic involved due to Oleson's outstanding defense. Preldzic split free throws and soon added a tip-in to make it 34-36. Free throws by Bjelica and a dunk off a steal by McCalebb allowed Fenerbahce to regain the lead, 38-37. A free throw by Gasper Vidmar and a dunk by Joey Dorsey fixed the halftime score at 39-39. Tomic split free throws after the break and Huertas soon gave Barcelona a 3-point lead. Bjelica stepped up with a second-chance layup that Lorbek erased with an easy basket. Fenerbahce kept struggling to score until Mahmutoglu took over with a catch-and-shoot three-pointer. Oleson swished a running shot and Papanikolaou silenced the crowd with a fast break jam to restore a 44-50 Barcelona lead. Bjelica buried a big triple, but a dunk by Dorsey gave the guests fresh air at 47-52. An unstoppable Bjelica struck again from downtown. Nachbar scored in penetration, as Barcelona tried a more physical lineup with Sada, Papanikolaou and Dorsey together on court. Oleson banked in a close jumper for a 50-56 Barcelona lead. After Mahmutoglu hit free throws, Tomic scored down low. A huge dunk by Bogdanovic kept Fenerbahce within 54-58. Bogdanovic shined with a wild driving layup to make it 56-58 at the end of the quarter. Both teams struggled to score for more than three minutes until Lorbek stepped up with a layup that gave Barcelona a 56-60 edge. Mahmutoglu rescued Fenerbahce with a three-pointer, but a running jumper by Huertas restored a 59-62 Barcelona lead. Preldzic provided a highlight with an off-balance basket that a red-hot Huertas erased with a close jumper. Bogdanovic buried a six-meter shot, but an unstoppable Huertas struck from downtown, causing Fenerbahce to call timeout at 63-67 with four minutes left. Preldzic made free throws, but Oleson buried a mid-range jumper for a 65-69 score with over two minutes to go. Bogdanovic nailed a five-meter jumper that Huertas bettered with a second-chance three-pointer. Preldzic scored in penetration, but Huertas matched that with free throws. McCalebb scored, drew a foul, missed the free throw and a put-back layup by Bjelica brought Fenerbahce within 73-74 with 11 seconds left. Fenerbahce fouled Huertas, who hit both free throws for a 73-76 score. Fenerbahce had a chance to tie the game, but Bogdanovic missed an open three-point shot at the buzzer. "It was a very tough game. We lost because of the very important, but small details. For example, Bojan Bogdanovic missed a wide open shot. I don’t mean that this is the reason of our loss. But it was a great chance. We are repeating smiliar mistakes that we are working on to not repeat. We are still struggling to overcome some of those mistakes. We are talking about our mistakes during the practices, but repeating them during the games. Anyway we still have 12 games in front of us. We have the chance to show our real character." "We are very happy about this very important win. It was a very close and tough game. There was just a small differance most of the game and both teams tried really hard. But we managed to play the end of the game beter than our opponent. There was no special reason for keeping Maciej Lampe on the bench. It was just our decision to use the other players in our rotation." "I don’t know why, but we were not on the level of intensity that we were before. We couldn’t find our rythm all game. We made some easy mistakes that cost us the game. Anyway we still have 12 games to recover and I believe we will." "It was a very important away game for us. 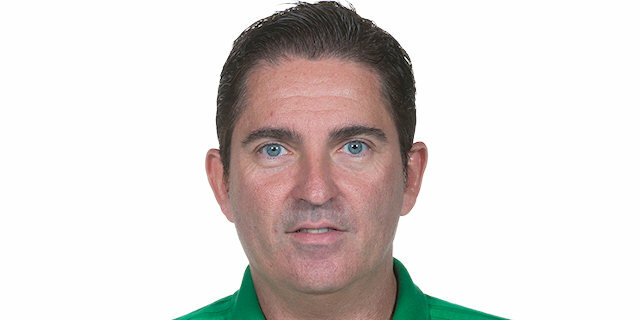 Without Juan Carlos Navarro we knew that we have to hustle hard and play much better defence. We really did it well against one of the great teams in Euroleague."